Fitzroy is one of the hippest areas in Melbourne– attracting tourists, young creative types, students and families. But we can’t neglect the long-time Fitzroy residents who have shaped the area and seen it grow. No matter which camp you fall into, the team at Brisk Landscaping is here to ensure that your Fitzroy property is well looked after for years to come. We work with all members of the Fitzroy community to provide lawn care, landscape design and garden maintenance that you can feel good about. The team at Brisk Landscaping understands the importance of customisation. We aim to provide our clients with an experience as unique as they are. This is why we offer a range of services to suit any need. We offer lawn and garden trimming and mowing as well as planning and installation of outdoor features such as decks, patios, pergolas and walkways. While we tend to work on lots of personal properties, we are also well-equipped to do commercial projects such as parks, schools and large housing or shopping developments. 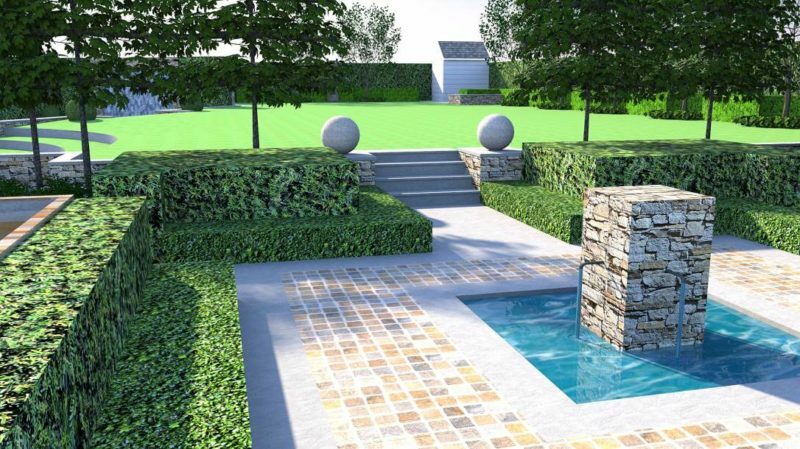 We can provide your property with natural or synthetic astroturf, water features, retaining walls and more. We have been serving Fitzroy and surrounding suburbs for years. We are passionate about maintaining the utmost level of customer service and skill to keep our lawn care clients satisfied. That’s why we work with you throughout the duration of your landscaping project to ensure that we don’t just meet your expectations, but exceed them. If you’re ready to create the front lawn, backyard or garden of your dreams, then you’re ready for Brisk Landscaping.